A few weeks ago, WhatsApp's Call feature made a small appearance for a few users, but at the time almost no one was able to trigger it reliably and keep it activated. The company appears to have flipped a few switches in its servers and the function is confirmed to work for those running version 2.11.528 from the Play Store, or 2.11.531 from WhatsApp's website (also uploaded to APKMirror). CJ is happy to make a WhatsApp call. I assume that's why his image is so cheerful. A few users have emailed us reporting getting the function activated over the past hours, and I just got mine up and running after receiving a call from Clinton (who got it from another friend, and so on). So as you are suspecting, the "invite" or, more accurately, the trigger that enables the feature has to be the reception of a call from someone who already has it. (Or maybe this terminal trick still works, I'm not sure.) Once that happens, WhatsApp's UI switches (either immediately or after you exit and reopen the app) from just showing chats, to a 3-tab layout with calls, chats, and contacts. 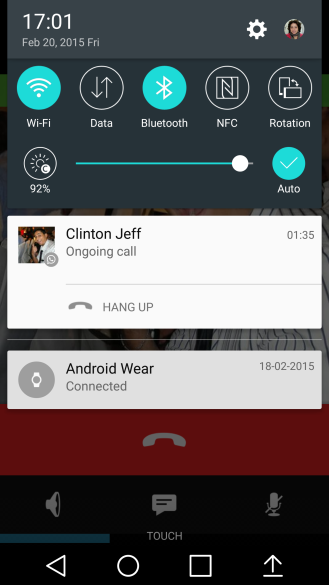 Calls are well integrated in WhatsApp. 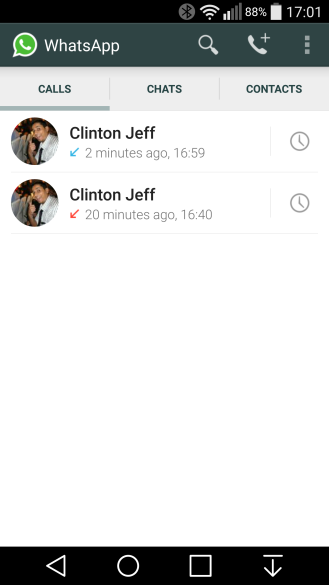 The dedicated tab shows incoming, outgoing, and missed calls with precise timing. Ongoing calls stay in the notification panel until you hang up while missed calls leave a notification that you can later check out. While on a call, you can activate the loudspeaker or mute the microphone. If you open your text chats with any contact, a call button appears in the action bar, right next to the attach icon and the menu, to make it easier to talk to them. And finally, if you click a contact's avatar, you now get a bigger profile image with the options to message or call them, or view their information. The call button for all contacts now defaults to a WhatsApp call instead of going through your phone. I can't find a way to trigger a regular network call from the app, which is a bit annoying because you might be in a spotty area or your contact might be offline. (For the record, in this case, the WhatsApp call still rings for a while, no one answers, and then gets disconnected. When the person goes back online, they see it as a missed call.) You'll have to go to your regular Phone app to initiate a network call. When you're lucky enough to receive a WhatsApp call from a friend, you can go on enabling the feature by calling your other contacts. If they're running an older version of the app that doesn't support it, you will instantly see a message notifying you of that so you can tell them to update their app before you call them. Now all you have to do is cross your fingers and hope that someone shares the riches with you so you can spread them further. I'll leave you with the truthful words of CJ (whose face is all over my screenshots) that perfectly describe this feeling: "I feel so powerful now. What do I do with all this POWAAAAAAAH? *Calls random people in friends' list* With every person I activate, I get less powerful, gasp." It seems that WhatsApp has closed the invite window again. If you were lucky enough to receive a call and get the option activated, you can still make calls to all your contacts. However, you will not activate the option for them. Since the invite system was working for almost an entire day, we assumed it was open for good this time, but it seems that WhatsApp is still keeping a tight grip on this feature. 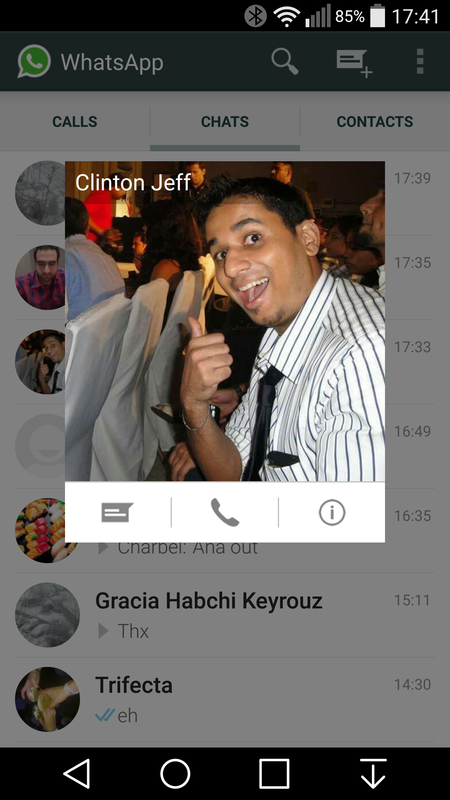 WhatsApp has opened the invite window again. 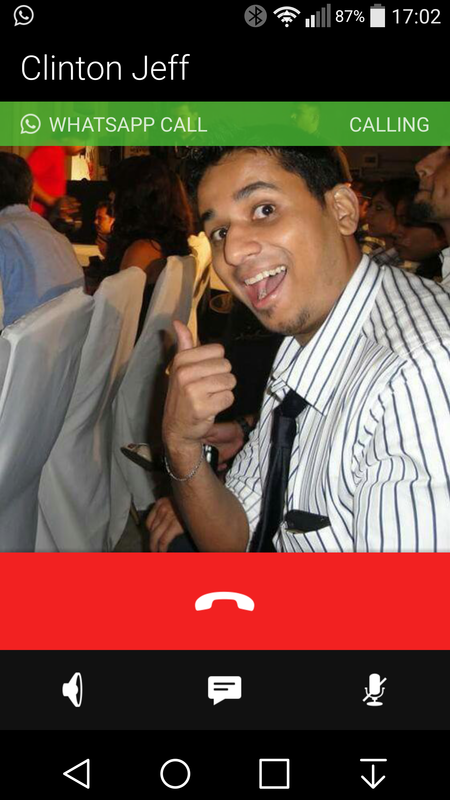 The feature should activate if you get a call from a friend, but it's a bit hit-and-miss. Odds are in your favor if you have the latest WhatsApp 2.11.552. We're not sure how long the window will stay open so act fast if you need an invite. And please do NOT post your phone numbers publicly here, we will remove them immediately. It was bound to happen, the invite window is closed again. We're having fun with this, aren't we? Invites have been going through over the past few hours, we've been told as much by several users. Grab WhatsApp 2.11.561 and try to get called by someone who has the option enabled. We don't know how long this will last for. The invites are working again. You are better off installing WhatsApp 2.12.14 and trying to get called by someone who has the feature activated. Invites can stop working any time, but from past experience, we know that they usually stay open for a couple of days.